I don't usually talk about political issues on my blog, but I'm going to make an exception to talk about a topic that is very important to me. First of all, technically I'm a liberal, except for one topic...abortion. When I was growing up I didn't really think about it much and figured I was pro-choice just because I'm a Democrat. But now that I have kids, have suffered through infertility and have seen my children on ultrasound machines prenatally, I am 100% pro-life. 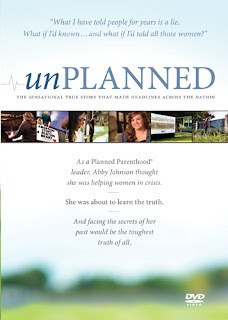 I watched the documentary Unplanned, which documents Abby Johnson's transformation from whole-hearted pro-choice Planned Parenthood director to a Coalition for Life pro-life advocate. Let me tell you...if I hadn't been pro-life before watching, I sure am now. The beginning of the video tells about how Abby went up through the ranks working at Planned Parenthood and having Coalition for Life members peacefully protesting and praying outside of the clinic every day. Until one day when a doctor came in to do an ultrasound guided abortion and she was asked to assist. Her description of watching the baby on the ultrasound was completely heart-wrenching. She had been told over and over that babies couldn't feel until 28 weeks, but here she was watching an ultrasound of a 13 week old fetus who absolutely could feel what was happening. It's no wonder that she left her job at Planned Parenthood within days and joined Coalition for Life. Here's a trailer for the movie, which I know you'll enjoy watching. I also want to let you know about the Unite for LIFE webcast. They're holding a free webcast featuring Abby Johnson that will benefit pregnancy care organizations. You can sign up to participate on May 17 at 8:00 p.m. (in all time zones) at www.uniteforlifewebcast.org. Unplanned the book and the DVD will be available for purchase as a package deal and 33% of each purchase will go to crisis pregnancy centers like CareNet, the National Institute of Family & Life Advocates, and Heartbeat International. One very lucky reader will win a copy of the Unplanned DVD! Comment here with your views on abortion - but I will delete any inappropriate or accusatory comments. Please keep it clean and non-aggressive! I know this is a heated subject, but we're not here to debate, I'm just curious about your thoughts. 4) Become a fan of The Twinners Reviews & Giveaways on Facebook and post on your Facebook wall about the giveaway using the link below (make sure it's linking directly to the giveaway page). Then, comment here with the permalink to your Facebook wall post. 6) Subscribe to The Twinners emails and comment here after you've confirmed your subscription. 7) Blog about this giveaway, make sure to directly link to this post and comment here with the URL for 5 additional entries (be sure to leave five separate comments). 8) Add my button to your blog and comment with the URL of your blog for 5 additional entries (be sure to leave five separate comments). Make sure you have my updated button or your entries don't count!! 11) Vote for this blog by clicking each of the following icons for 1 additional entry per click (a total of 2 additional entries). You can do this once per day, and be sure to comment on all giveaways you're in! 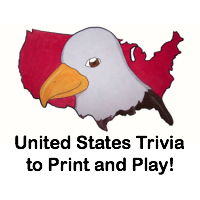 Please comment 2 times every day that you click to let me know you clicked for each one. This giveaway will close on May 18, 2011 at midnight. We received a copy of the "Unplanned" DVD free of charge for the sole purpose of this review; no other compensation was received. All opinions expressed are my own. I am absolutely Pro-Life! I suffer from infertility myself, and as a result, I have a better education than most about procreation. Life is an amazing, beautiful miracle, EACH AND EVERY TIME, no matter the circumstances. And every life deserves a chance. I follow publicly on GFC! Entered the Prefense Sanitizer giveaway! Entered the Lilla Rose giveaway!